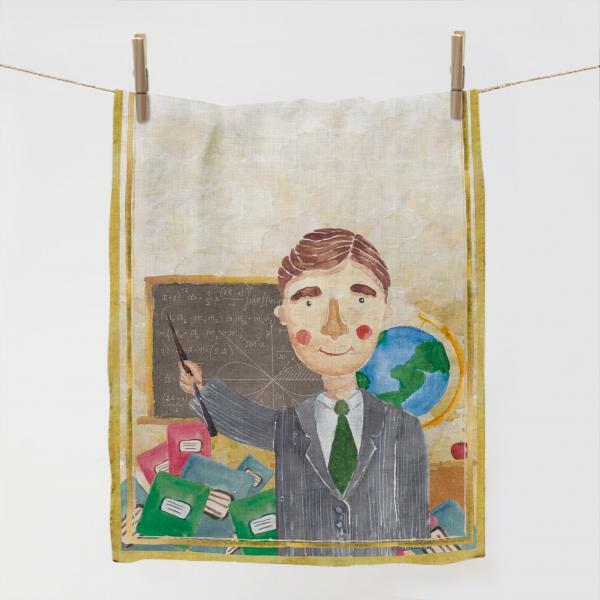 Linen kitchen towel Teacher man. Towel with hook, 100% linen. Measurements: 45 x 70 cm / 17" x 28". Linen kitchen towel "Police officer" man. Towel with hook, 100% linen. Measurements: 45 x 70 cm / 17" x 28". 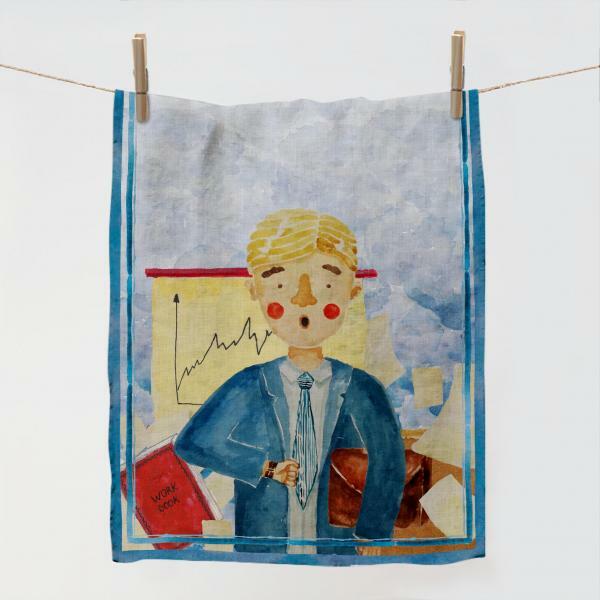 Linen kitchen towel "Manager man". Towel with hook, 100% linen. 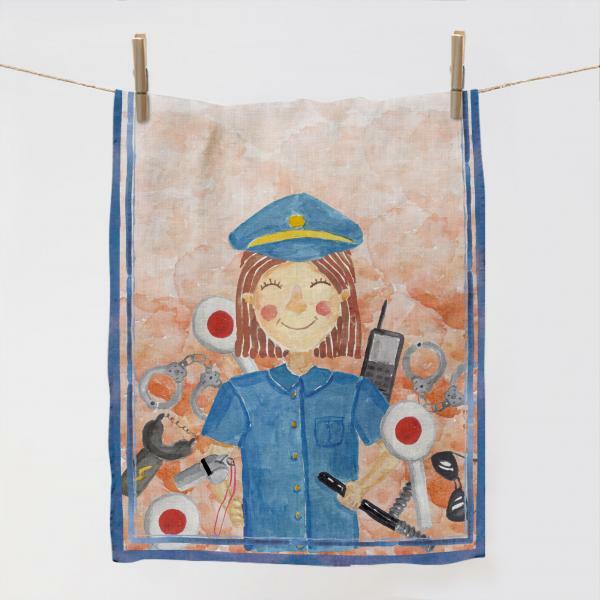 Measurements: 45x70cm / 17"x28"
Linen kitchen towel "Manager woman". Towel with hook, 100% linen. 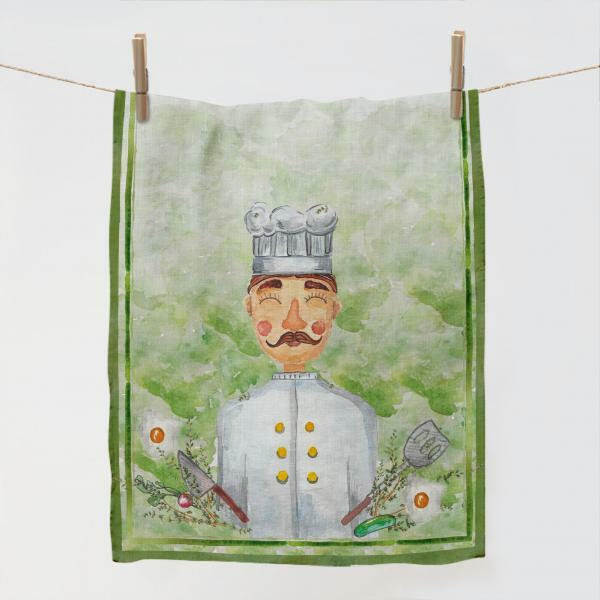 Measurements: 45x70cm / 17"x28"
Linen kitchen towel "Chef man". Towel with hook, 100% linen. 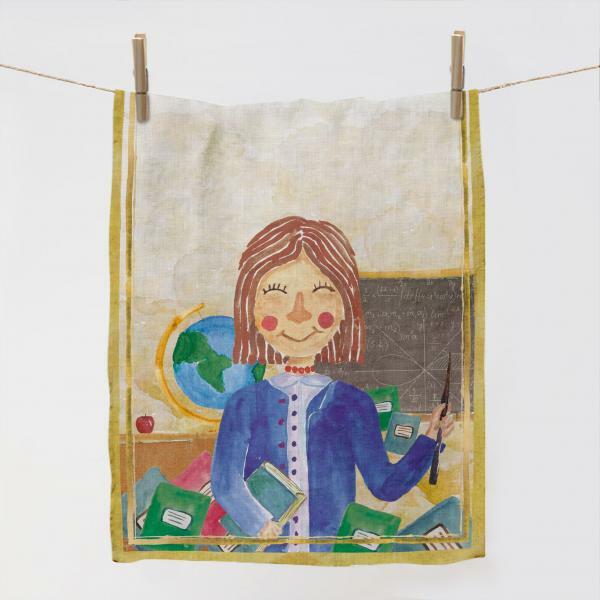 Measurements: 45 x 70 cm / 17 x 28 in. 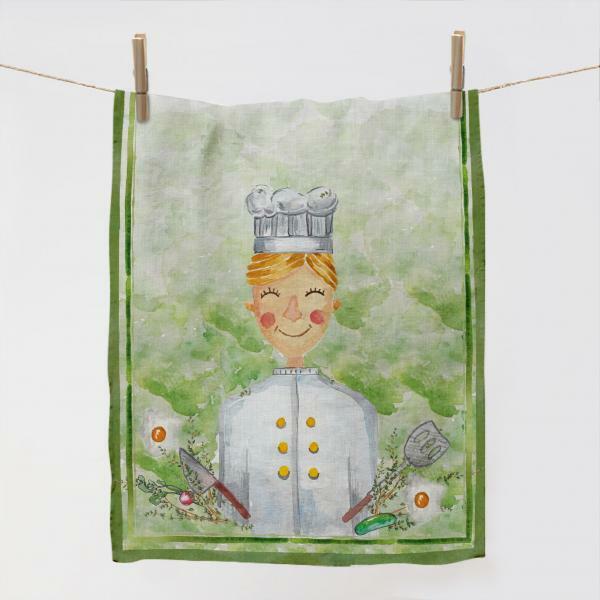 Linen kitchen towel "Chef woman". Towel with hook, 100% linen. Measurements: 45 x 70 cm / 17 x 28 in. 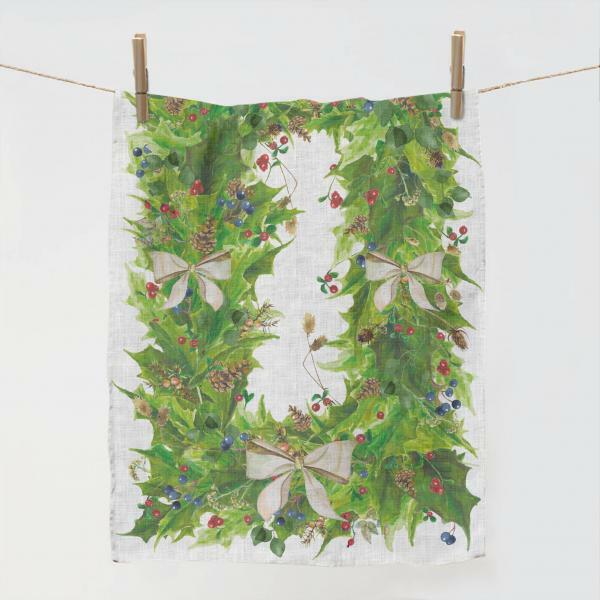 Linen kitchen towel "Poinsettia wreath". 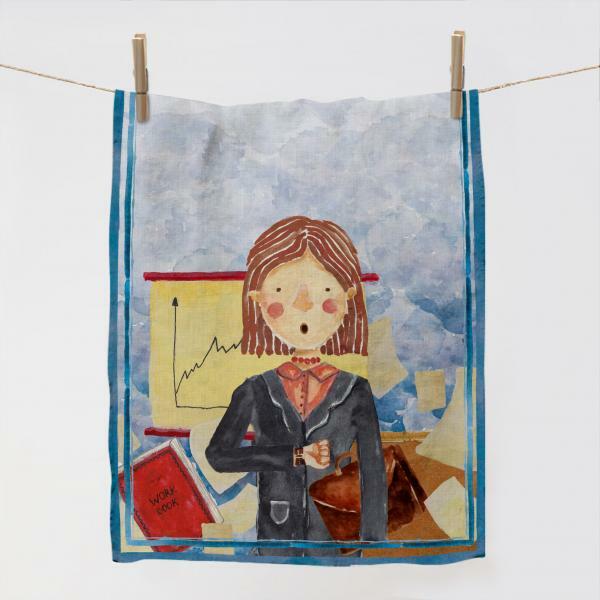 Towel with hook, 100% linen. Measurements: 45 x 70 cm / 17 x 28 in. 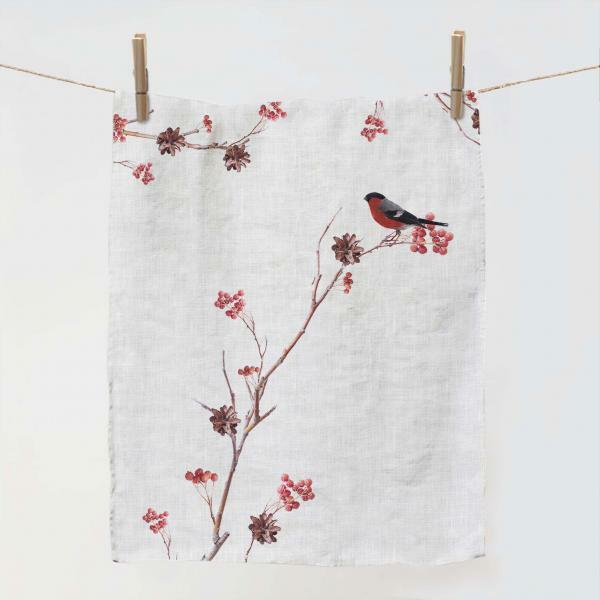 Linen kitchen towel "Guelder - rose". Towel with hook, 100% linen. Measurements: 45x70 cm / 17x28 in. 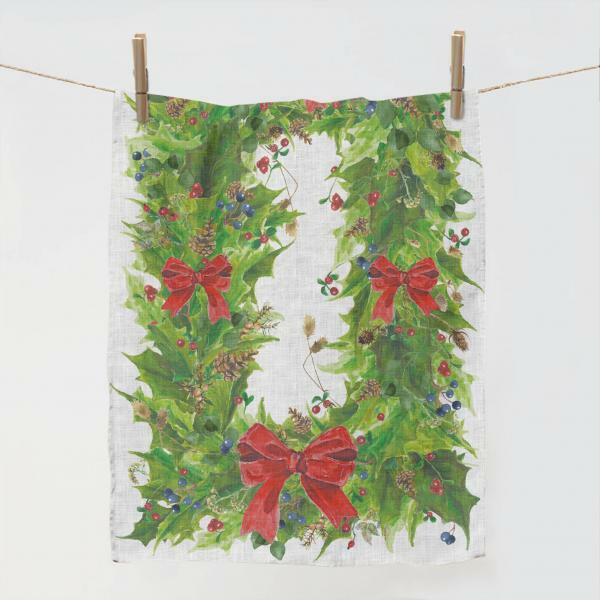 Linen kitchen towel "Poinsettia wreath". Towel with hook, 100% linen. Measurements: 45x70 cm / 17x28 in. 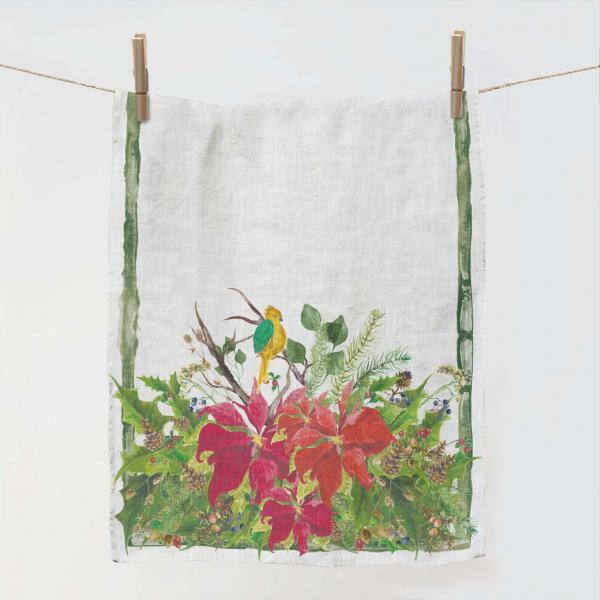 Linen kitchen towel "Poinsettia". Towel with hook, 100% linen. Measurements: 45x70 cm / 17x28 in. 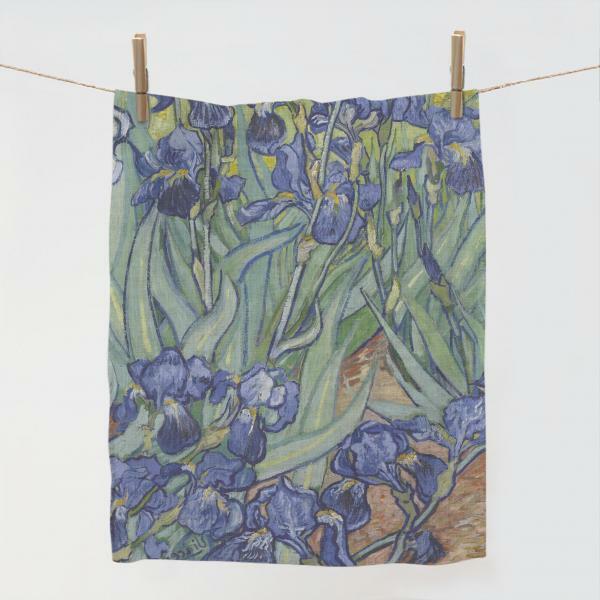 Linen kitchen towel "Irises" by Vincent van Gogh. Towel with hook, 100% linen. Size: 45x70 cm / 17x28 in. 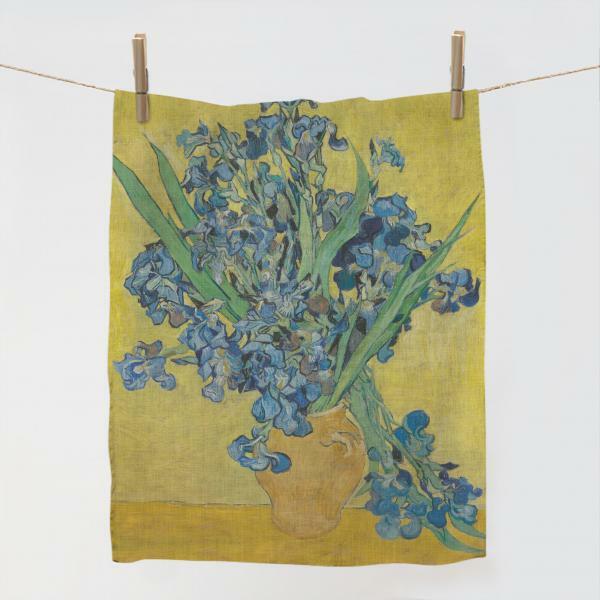 Linen kitchen towel "Vase with Irises" by Vincent van Gogh. Towel with hook, 100% linen. Size: 45x70 cm / 17x28 in. 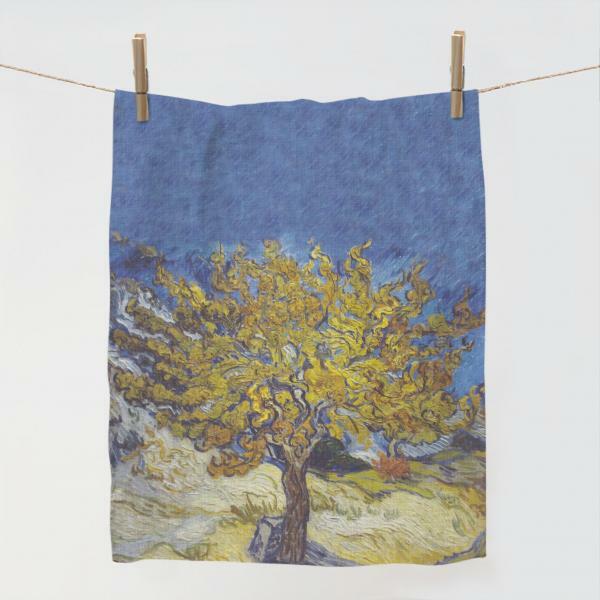 Linen kitchen towel "Mulberry Tree" by Vincent van Gogh. Towel with hook, 100% linen. Size: 45x70 cm / 17x28 in. 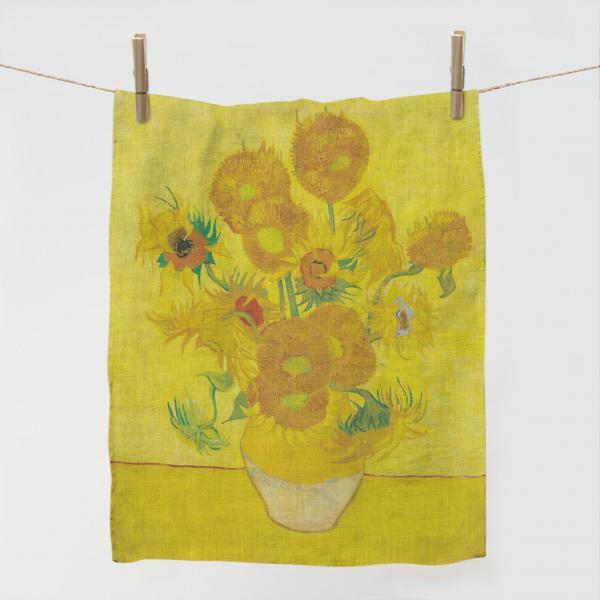 Linen kitchen towel "Sunflowers" by Vincent van Gogh. Towel with hook, 100% linen. Size: 45x70 cm / 17x28 in. 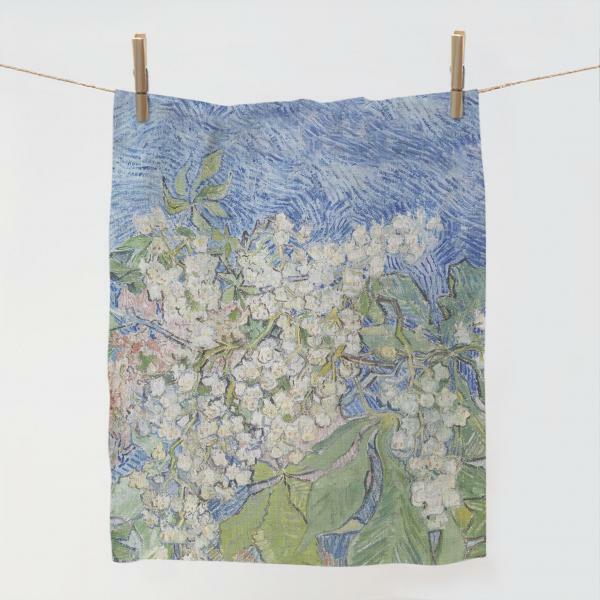 Linen kitchen towel "Chestnut Branches" by Vincent van Gogh (pink edition). Towel with hook, 100% linen. Size: 45x70 cm / 17x28 in. 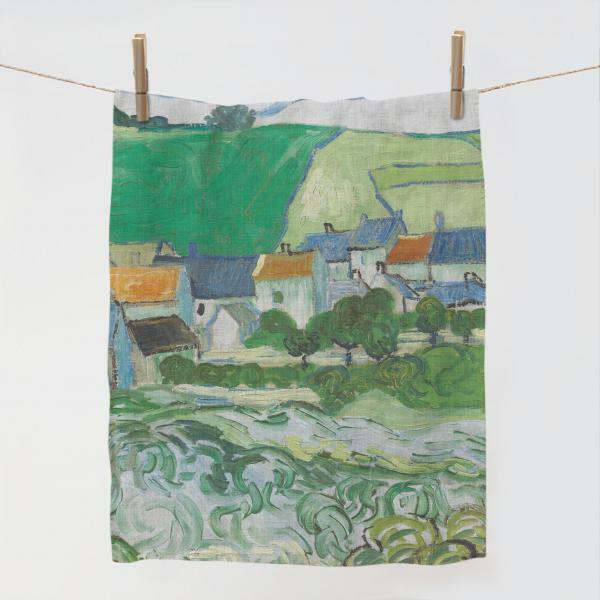 Linen kitchen towel "View of Auvers" by Vincent van Gogh. Towel with hook, 100% linen. Size: 45x70 cm / 17x28 in. 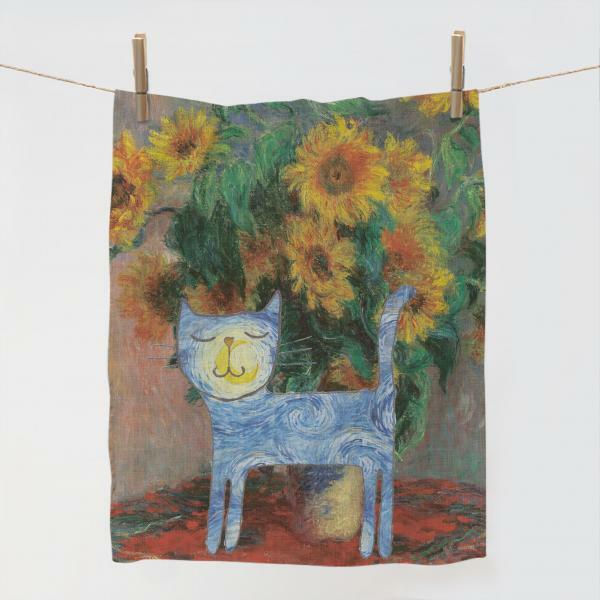 Linen kitchen towel "Van Gogh cat" inspired by Vincent van Gogh artworks. Towel with hook, 100% linen. Size: 45x70 cm / 17x28 in. 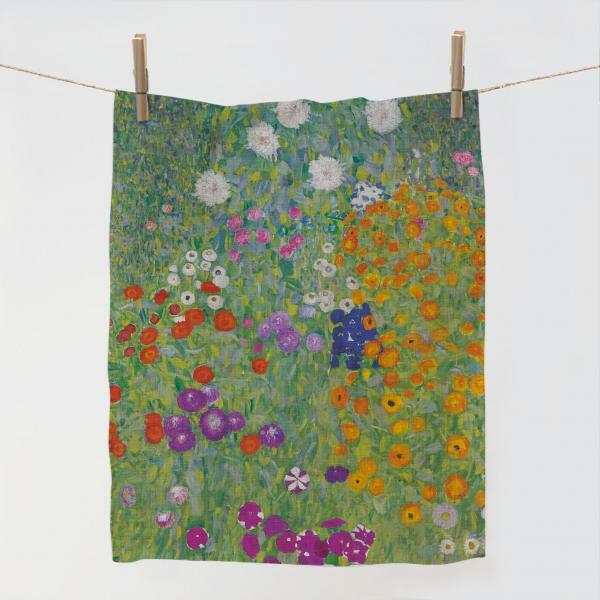 Linen kitchen towel "Flower Garden" 1906 by Gustav Klimt. Towel with hook, 100% linen. Size: 45x70 cm / 17x28 in.